Reader’s Digest launched its Trusted Brands Award four years ago, and Cerebos Pacific Limited has been a consistent winner of this Award. 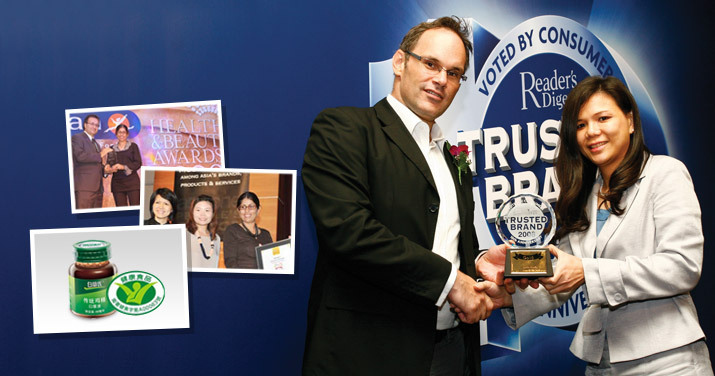 BRAND’S® again won an Asian Gold award for the Reader’s Digest Trusted Brands awards, making it four awards on the trot. We were a winner in the Vitamins/Health Supplements category. Thailand again bagged the Platinum award at country level. BRAND’S® is honoured for the repeated recognition!